It’s football season! Time to watch the game with some great friends and snacks. However, many of your favorite recipes are laden with fat, cholesterol, and sugar, making us feel empty and lethargic. Chef Jen Welper with The Mayo Clinic Healthy Living Program says, try substituting healthy foods for nachos and queso, Fritos and soda. 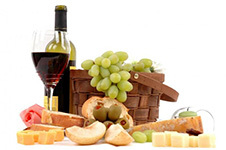 Below, she shares healthy ways to enjoy some of our favorite dishes. 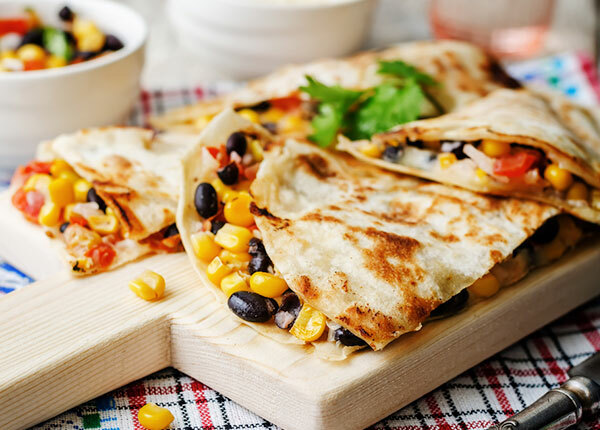 Black beans and veggies make these quesadillas a delicious and healthy choice for halftime snacks or anytime. Heat the oven to 350 F. Gather your ingredients. Drain and rinse the beans in a colander, then place in a large bowl. Finely dice the zucchini and onion. Thaw the corn in a colander under running water. Chop the cilantro. In a large bowl, combine the beans, zucchini, onion, corn, cilantro, cheese, cumin, salt, pepper, and pepper sauce. Heat a large non-stick pan to medium heat. Coat with cooking spray. Place a tortilla in the pan to warm for about 1 minute. Place half of the mixture on one side of the tortilla and fold over to cover. Cook for 1-2 minutes, then flip and cook for another 1-2 minutes. Remove from the heat and place on a baking sheet. Repeat with the other tortilla. Place the tortillas on a baking sheet and bake for 5-8 minutes or until cheese has completely melted. Cut each quesadilla into 4 even wedges. Serve with a pico de gallo, salsa and/or a light sour cream. 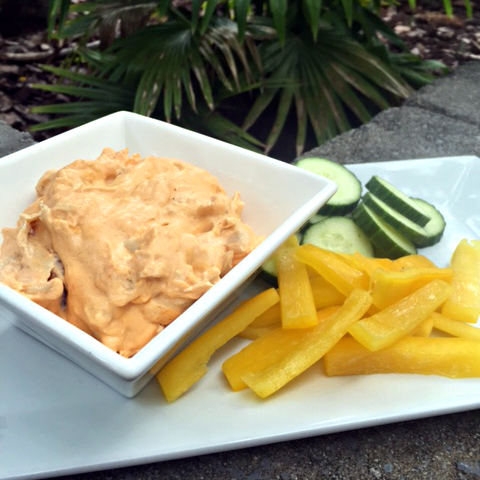 Recipe courtesy of Chef Jen Welper with the Mayo Clinic Healthy Living Program. Cook chicken breast/s and pull apart with fork or place in a mixer with the paddle attachment and mix on slow. If using a mixer add the, buffalo sauce, cream cheese, sharp cheddar cheese, skim milk, green onions, carrots, celery, and seasoning. Place mixture in a small crock pot, or sauce pot, and heat up slowly and be sure to stir frequently to prevent burning on the bottom. Serve with whole wheat pita chips or other vegetables. Hot Dogs: It’s all about the toppings!